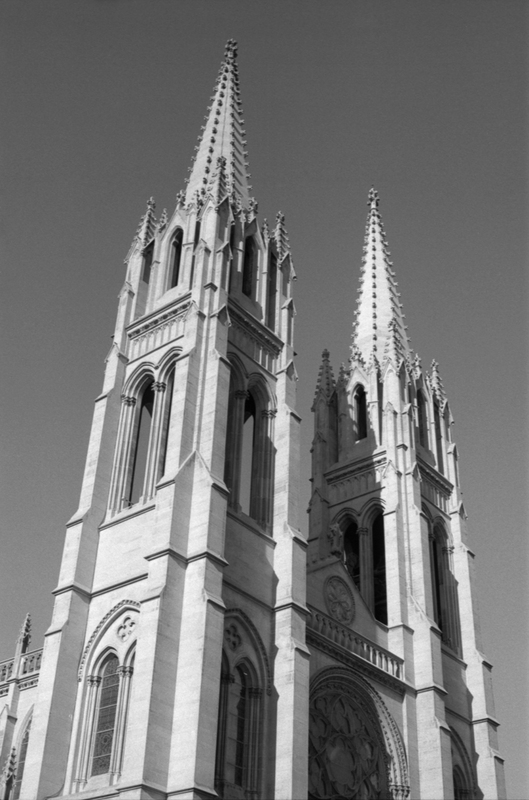 The spires of the historic Cathedral Basilica of the Immaculate Conception in Denver, Colorado. These photos were taken on Ilford Delta 100 film with my Minolta SR-T200. These photos were all taken in Denver’s Capitol Hill neighborhood, anchored by Colorado’s iconic gold-domed State Capitol building. 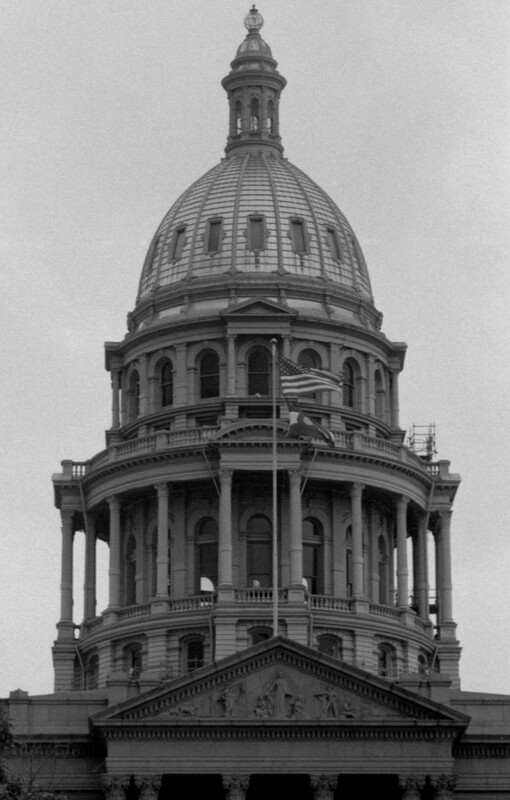 The Capitol’s dome is currently in the beginning stages of a major restoration to repair the aging cast-iron superstructure and re-gild the dome, ensuring that it is once again covered in gold mined in Colorado — over $100,000 worth. When the Capitol Hill neighborhood first began to build up in the late 1800s and early 1900s the curbstones and sidewalks were all made of Colorado-native sandstone, as well. While some have been replaced, much of the original flagstone remains. Another recognizable feature of the neighborhood is the Capitol Hill Mansion. 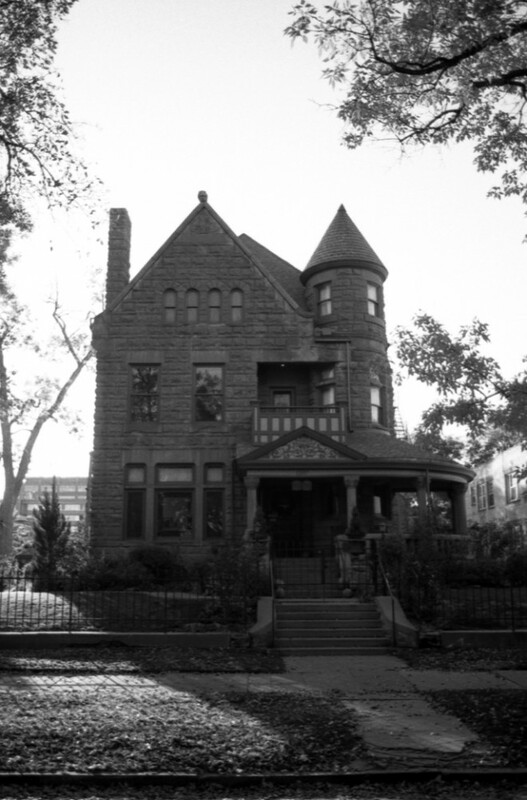 “A national historically registered 1891 Richardsonian Romanesque Mansion,” according to Denver.org, it re-opened as a well-reviewed bed and breakfast in 1994. The iconic gold-leaf dome of the Colorado State Capitol building in Denver, Colorado, is covered in over $100,000 worth of gold. 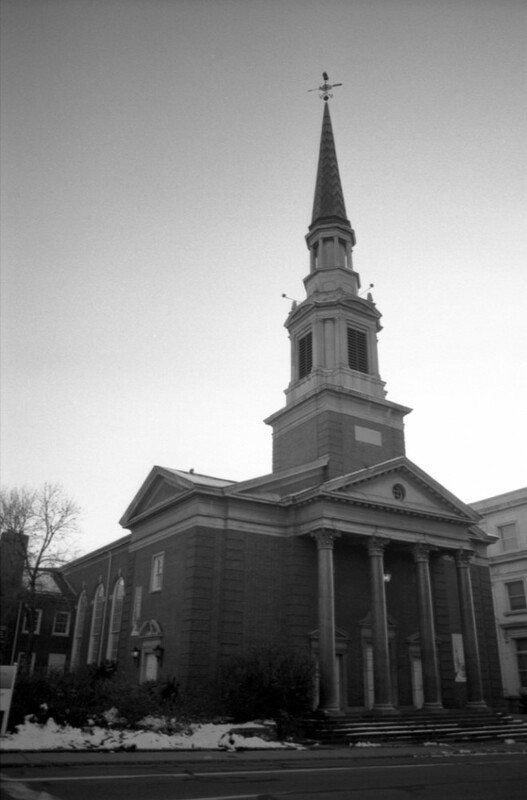 These photos were taken on Ilford Delta 100 film with my Minolta SR-T200. 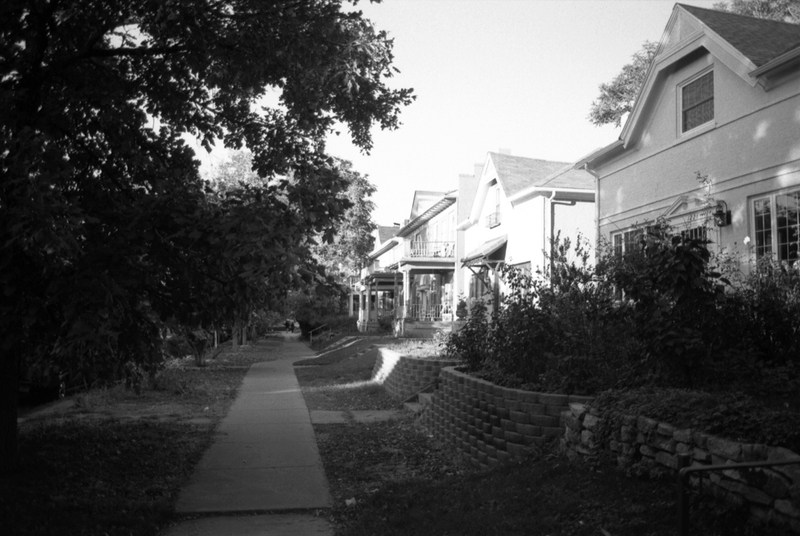 A view of the original sandstone slab sidewalks on Pennsylvania Street in Denver’s Capitol Hill neighborhood. These photos were taken on Ilford Delta 100 film with my Minolta SR-T200. First Baptist Church on the corner of Grant Street and 14th Avenue in Denver. These photos were taken on Ilford Delta 100 film with my Minolta SR-T200. Historic Capitol Hill Mansion on Denver’s Capitol Hill is now a bed and breakfast. These photos were taken on Ilford Delta 100 film with my Minolta SR-T200. 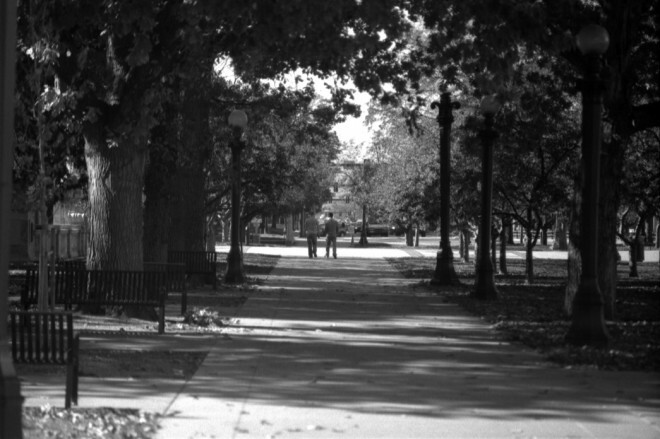 Capitol Hill on film: A couple walks through Civic Center. These photos were taken on Ilford Delta 100 film with my Minolta SR-T200. Taken with my Minolta SR-T200 using Ilford Delta 100 film, developed in my kitchen with Ilford’s Ilfotec DD-X developer at 1+4. Taken using Sunny 16 rules before I had the meter on my camera repaired (along with a CLA, new light seals and a shutter tune-up). Photoshopping included: Adjusting exposure with levels to compensate for underdeveloped film (still learning); minor use of Spot Healing Brush to eliminate the worst dust from the scanner bed.